Finished size is 68" square. I am a little excited by this finish. this one was just screaming to be paired up. My only problem now is to work out which side to have face up! It feels good to finally have a quilt finished. It looks fantastic Sharon! 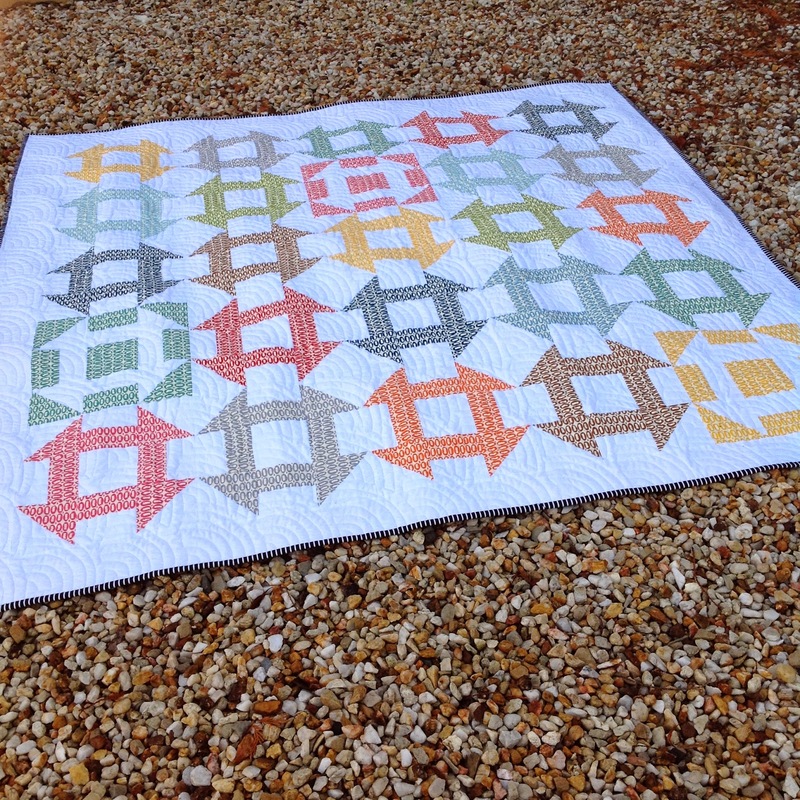 I love the red letter blocks in solids and the churn dashes on the back are great! Wow! 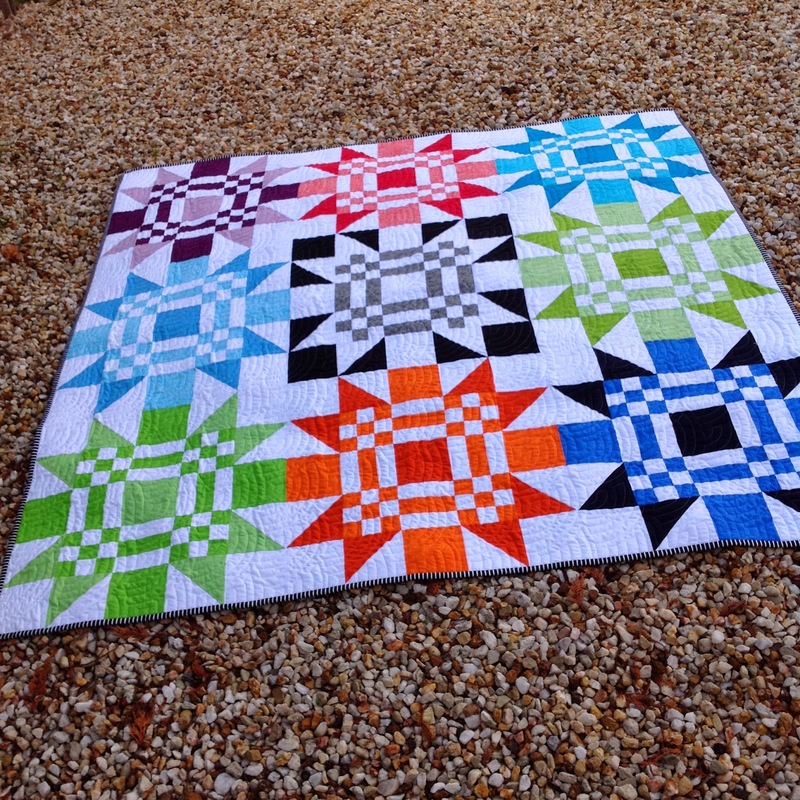 That's quite a quilt! Fantastic idea! Two great quilt tops put to great use. Enjoy snuggling under it. 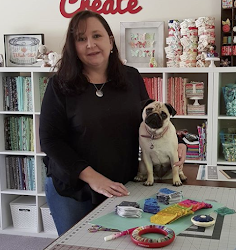 Love this idea Sharon, well done. Both sides look beautiful. It's gorgeous...and versatile too. Well done Sharon . Oh you're a clever girl. Well done, it looks great (on both sides!). Your quilt is gorgeous Sharon. How clever to make it double sided. Absolutely stunning! So you! 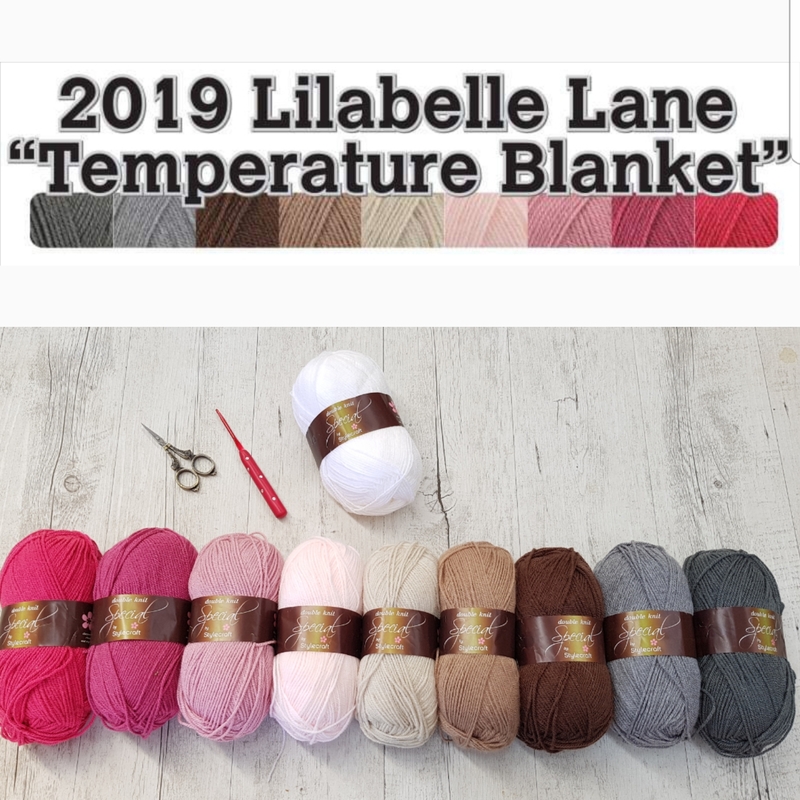 Love your idea of having it 2 sided and that binding fabric is just perfect. It's beautiful. Every new quilt you make seems to become my favourite! Totally amazing! 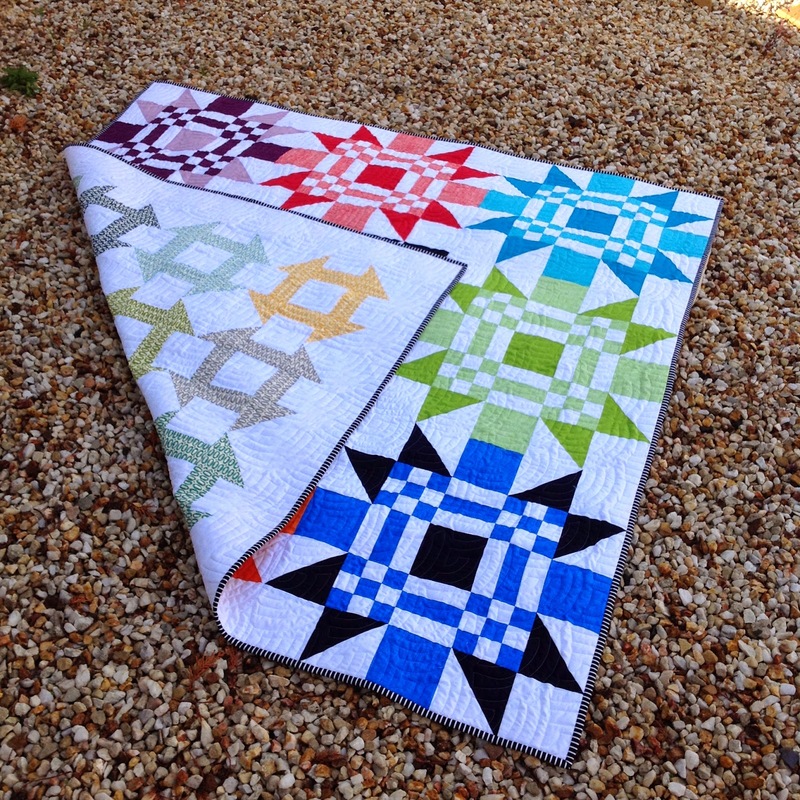 I saw the first photo and thought it was a stunning quilt as it was with these blocks. But then you blew me away with the backing. The churn dash blocks are wonderful. They do work extremely well together. 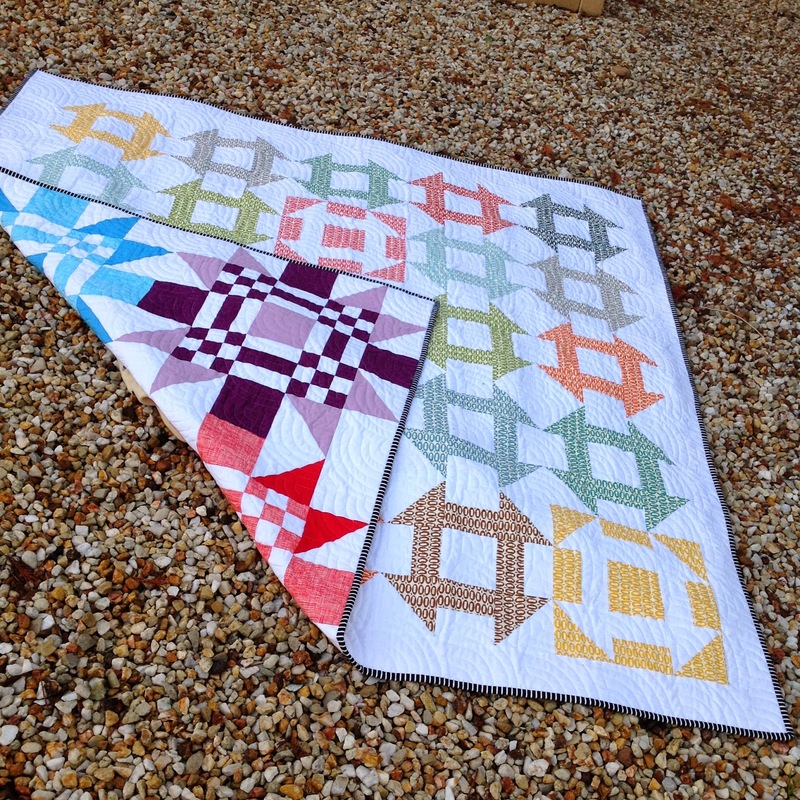 The quilting is perfect for both sides. Love both sides and the dilemma of which side to have showing would be great... also which side do you put the label on??? ?